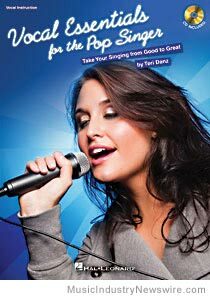 REVIEW: Singer and professional vocal coach Teri Danz decided to put her own private lesson plan into a book with accompanying CD. The results cover less than fifty pages but singers will find something valuable on every page. You can sing, right? You hit all the notes just perfectly, you’re never short of breath, and you bring style and sensitivity to every performance whether on stage or in the studio. Naturally, your mom likes your voice, and all your friends attend your shows, every one of which garners strong applause. Plus, the audience never fails to demand an encore. More importantly, people you don’t even know keep asking if they can buy/stream/play your recordings. If all that is true, keep reading anyway, because you’re about to discover how you can become an even better singer. If none of that is true, keep reading, because you’re about to discover how you might have a chance to become acceptable. While she has a relatively small number of pages with which to present her case, Danz plunges into the heart of the matter in the opening sentence. “Great singers have a combination of skills that, from the outside, look like natural talent.” Great teachers like Danz are here to help you augment, shape and refine your talent. You will find that there is plenty of theory in this book, but the main point of it is practical information that will almost immediately have a positive effect on revealing more of almost any singer’s talent. In combination with the 73-track CD that accompanies the book, Danz takes you through a terrific amount of information and exercises. By page 2, you’re already into the basics of breath control, breath support, and the physical stamina necessary for proper performance. The lessons are for all ranges and both genders. Her explanation of the larynx (y’know, what many of us call the voicebox) is useful, and she follows it with advice that may help you avoid developing nodes, nodules or polyps (trust me, they are even more icky than they sound) and preserve your ability to sing soft, sing loud, or even wail like a banshee. Singers whose work you have heard are used as real-life examples. “…a rock singer like Bono has a different resonance and timbre than an R&B singer such as Brian McKnight,” she writes. In another section, she makes her points by referencing three versions of “Across the Universe,” from John Lennon’s original vocal to Fiona Apple’s version from the soundtrack of “Pleasantville” and then Evan Rachel Wood’s version from the film with the same title as the song. There is even a track on the CD that will help you focus on singing even when being bombarded by distractions. Please, the next time you have to endure a bad singer . . . The next time you get to hear a singer with promise that is not yet fulfilled . . . 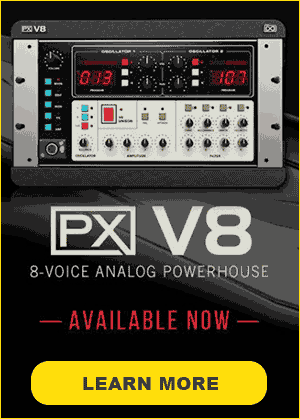 The next time you hear someone singing with any kind of vocal glitch or obvious pain . . . Lead them to this book. Everyone’s ears will thank you. Article is Copr. © 2011 by John Scott G, originally published on MusicIndustryNewswire-dot-com before the site was revamped as MuseWire.com in March 2015 – all rights reserved. No fee or consideration was provided by the book publisher in authoring this content and opinions are solely those of the author of this article.